It is surprising to know how many business owners don’t know the difference between profit and revenue. They believe that just because money is coming into their business, they are actually making it. Money coming into your business is not yours until expenses have been paid. Once these expenses are paid, the remaining is the profit. Many businesses break even or are in debt after their expenses are accounted for. There are business owners who do not even know this is occurring, they just pay out money and go about their business. 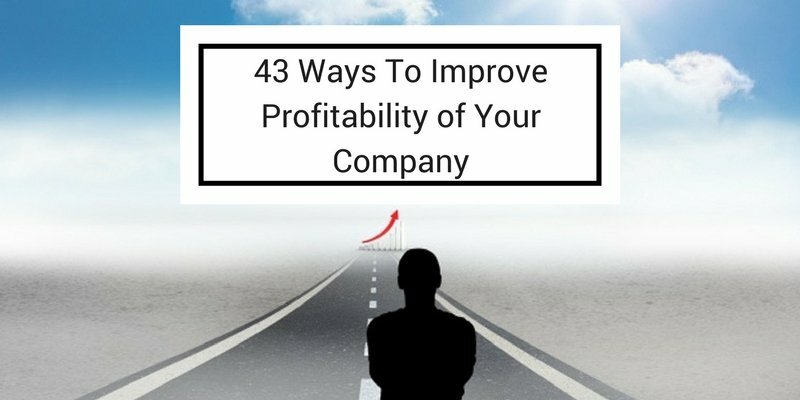 Knowing the ways to improve profitability of your business is very important to succeed. You have probably heard about businesses who have a huge customer base, but they have to shut down due to financial reasons. This is because they do not have a strategic plan that outlines how their business will achieve profitability. Then when their business is unable to handle their basic business operations or expand their operations, they are surprised as to why they have financial issues. You do not want to be one of those businesses that cannot earn a profit due to poor planning. It is best to learn the tactics that can be used to develop a business that is very profitable. Provided are 43 tactics that will help your business become profitable. 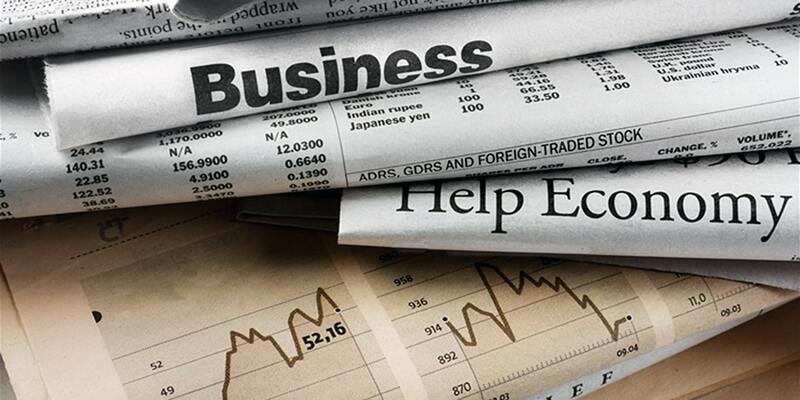 Read them and learn how your business can develop a strategy that leads to profitability. Business takes time to develop, therefore, you need to create a strategy that has a five-year outlook at the minimum. Each year needs to define how your business will grow over the years. As your business grows over the years, it will become more complex, which means your financial plan needs to grow with your business. This means your strategy needs to not only define how you will make money but also how you profit the majority of the money you generate. Constantly review your strategic plan so that you are aware if the results you produce match your set goals. Your business will need to operate under five principles that will determine its success. Once these principles are determined, you will need to monitor these factors weekly to ensure that your actions align with them. These key factors should focus on growth and prosperity. Sales and expense controls should definitely be two factors that are also within your success factors. Without these two factors, you will find it hard for your business to be profitable. A budget is what helps to keep your expenses in control. Your budget needs to be followed closely in order to ensure that your finances remain in order. Follow your budget strictly and only go outside of it when it is beneficial to your business generating more money or keeping more money. Your budget also needs to be revisited quarterly, if not monthly. This will help your budget remain aligned with the growth of your business. A profitable business is one that gets rid of deadweight. You will need to analyze which parts of your business are the least profitable and do away with them because they take up both time and money. It is better to focus on those business activities that bring in money, which justifies your decision to maintain their existence. Consultants are professionals who can help you see things in your business that you are too blinded to see. When you are within your business, it is hard to separate your vision for your business from its actual reality. Therefore, outside advice can help you discover your business’s weaknesses, and how to improve these shortcomings. Do background research before hiring a consultant. You want to be sure you hire someone who can deliver on their guarantees and for their high fees. Even if you are building a generational business, you still need to determine how ownership will be handed over to members of your family. 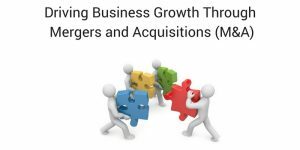 An exit strategy makes the sale of your business or transition of your business an easy initiative to accomplish. This takes out the stress of the process, so you are not scrambling to make it happen when you are ready to exit from your business. 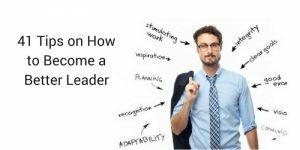 Leaders in your industry provide you with a blueprint of how your business needs to operate. Take their strategies and turn them into your own so that you can build your business to be among the industry leaders. Once you know how to make more money, then you will put your business in the position to be successful. Your best clients are the ones who will want to see your business grow and be successful. Allow these clients to point out where the strengths and weaknesses lie within your business. This will help you understand how to improve your business from your client’s point of view, which allows you to develop a product or service that will be in great demand from your target market. 9) Think of every product or service that your company sells as if it were a separate business. Does each one contribute to profitability? Every product and service you have is certainly not producing a profit. When this occurs, you will need to get rid of these products and services and keep those which generate money. This will help you eliminate costs in favor of profitability. You will see your profits increase significantly once you eliminate these weak performing products and services. You need to know if the product or service you are offering cost you more money than the money it is generating. If this is the case, you will need to sell more of them or raise the prices. If neither can be achieved, you will have to remove them from your product and service offerings. Get honest feedback from your clients. Asks them what they liked about your business and what they disliked. This will help you improve your business each year so that you can keep long-term clients, instead of having to constantly find new clients every year. 12) Revitalize aging products and services. What other uses can you find for your products or services? Just because your products and services are not as popular as they once were, it does not necessarily mean that you have to get rid of them immediately. See if you can find ways to repurpose their old uses in order to attract new markets before disposing of them. If you are able to repurpose their use, you now have a new stream of income from a product or service that was once dormant. Your employee complaints are an opportunity for you to take a look at their workload to see if they are focusing on the task that can help your business to grow or just busy work. If it is the latter, you can outsource this work to other companies, so that your employees are strictly focused on making money and maintaining the operations of your business. When you give your customers exactly what they want, pricing is not an issue for them. When the value is being delivered, that outweighs price, because the value is helping them produce better results than they were previously experiencing. Also, when you give customers exactly what they want, they become your biggest business advocates. A guarantee should be included to determine if the customer found the value of your product or service to be worth its cost. This gives your customer the opportunity to reply honestly, which allows you to look closely at your products and services to determine their true worth. 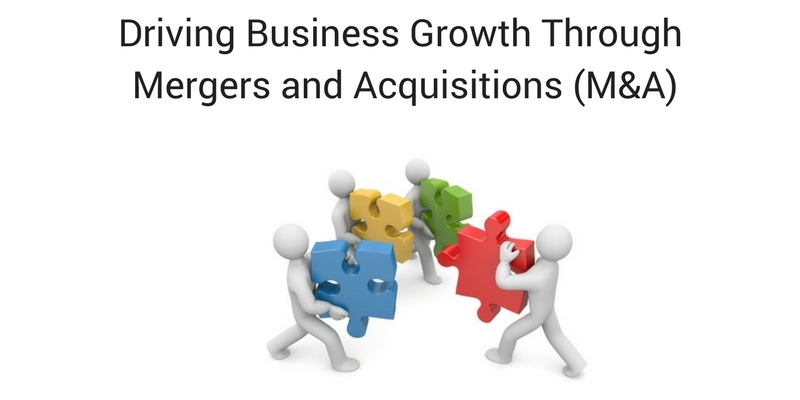 Strategic alliances are the perfect opportunities to expose your business to new markets. It definitely makes sense to partner with those whose businesses complement your own business. Cross promotion will work very well in such cases because the products and services match up so well. A CPA who works on an international or even national level has the experience to handle all types of different financial situations. You want to work with firms that have these vast experiences so that no financial situation is too challenging for them to service. Deliberately increase your prices to see how your customers react. If no changes in demand occurs, slowly increase the prices until demand levels off. Along with demand, the cash you generate declines, then set your prices back. If demand falls, but your cash generation increases, stay at the new price to keep your new profitability. Assets that are not actively being used, sitting around costing money, rather than generating money need to be sold for cash. It makes no sense to hold on to assets that have become expenses. You can use the cash made to reinvest into your business to increase its profitability. Inventory that is sitting around for months and not being sold is costing you maintenance fees. If you are not a big chain store, only keep enough inventory on hand to meet your customer’s demands, and reorder inventory when you are nearing redline levels of available product. Develop the relationships with your vendors that allow you to receive product and pay them once that product is sold. This helps you keep cash on hand for emergencies, while also being able to meet customer’s demands. You will want to review your bank statements in order to determine your spending habits, and see where you can improve. If you are spending more money than you are bring in, this is a habit that quickly needs to be reversed. Little expenses that happen throughout the day quickly add up to be big expenses over time. Your bank loan can be a burden that does more harm than good after it is received. If your loan repayment is eating away at your profits, ask your bank if you can get new terms that allow your business to actually make money. When you are paying big money for a particular service, you will want to be sure that you are receiving the best price. Let your potential vendors know you are comparing prices, and would like to determine who provides the best value for their prices. This will help you find the best vendor before being locked into a contract that you have to wait years to get out of. Start contacting your customers to determine when they will be paying their invoices. Communicate the length of time they have to make these payments, and get them to agree to a time when this payment will be made. Do not let them go until they agree to make their payment by a scheduled date. Just because you have a new customer, it does not mean that they are a good customer. You need to determine their creditworthiness so that you do not end up dealing with a customer who has issues making payments for the services rendered. Your key people need to be involved in ensuring that payments are received for products and services sold. You do not have time to handle these things yourself as a business owner, so you need your key people to take responsibility for these tasks. Part-time workers cost less to employ than full-time workers. Take advantage of this luxury by hiring multiple part-time workers. Be warned that these people will be the first to leave your company if they are presented with a full-time opportunity. Insurance is expensive to maintain, so you want to be sure you are dealing with insurers who are providing you with the best options. If you feel like you are paying too much for the service you are receiving, do not hesitate to switch providers. You can not allow a business atmosphere of complacency. This leads to a business that operates poorly and get overtaken by its competitors. You should promote excellence throughout your business, from the front desk to the key executives. When you do not implement a set of expectations, your team has no guidelines to follow. You need to let it be known how many sales calls need to be made daily. Communicate the sales quotas for the week, month, and quarter. Train them how to effectively communicate with prospects and existing customers. Go out and talk to your target market, Find out what they would like from their service providers. View your employees in action. Do you see anywhere they can improve? Look at the entire operations of your business live so that you can understand why your business is succeeding or failing. The employees who have contact with your customers have a very important role. They can either help you retain customers by providing great customer service, or lose customers by providing terrible customer service. You want to train people in these positions to be a personable and patient as possible. Training may seem expensive at first, but in the long run, it helps you operate a business that performs well and provides great customer service. Your employees will understand what is expected of them and you will generate more money in return due to their great work. It should be known that people get paid for the results they produce. This will cause your employees to work harder, increasing the work-ethic within your organization. When you consistently let your employees know what is expected of them, this helps to eliminate any excuses that can be said for not knowing the rules of conduct. This will point out bad employees who are a threat to disrupting your business’s work environment. You want to communicate with your team monthly, letting them know about any updates, highlighting individual performances, and reminding them of goals for the quarter and year. This will help build team morale and set a focus on expectations. Give each department budget so that you can determine which managers produce the best results with their given budget. Reward those who take their budget and generate a profit, and work with those who produce bad results. You want all of your managers to operate on the same level of excellence. It is important that everyone on your team knows how to communicate with not only each other but especially with customers. Bad communication can be the cause of problems arising due to people not being able to listen to one another, or being able to properly articulate their thoughts. Your team will only be able to grow and provide exceptional work when you invest in their improvement. Invest in their continued education and also provide them with the best resources to effectively do their job. When you publicly reward your employees, it helps to improve employee moral. People will know that their hard work does not go unnoticed, and they will be recognized for going over and beyond expectations. When you send notes of appreciation to employees homes, it shows that you think of them as a person rather than just a worker. This helps to increase employee loyalty to your company. If you want to operate a profitable business, take these tips and implement them into your own business. They will help your business perform better, continue to grow, and increase the profits earned. Focus on improving your company’s profitability. Leave the rest to us.